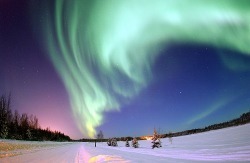 The purpose of this Webquest is to learn about the state of Alaska. The steps for the quest are listed below in the order that they should be completed in.there are reminders of the purpose of this quest on the main page in case you need them for reference. STEP #1 Your teacher will give you a worksheets required for the quest. If you teacher does not give you the worksheets, you can download them from the teacher's page. STEP #2 Click on the words that say State of Alaska Facts on the main page. This will take you to a web site that lists important information about Alaska. Use the worksheet labeled Alaska Facts to write down 4 facts that you find interesting about the state. STEP #3 Click on the Movie about Alaskan stereotypes. There is not an assignment for the movie, so watch it and enjoy the entertainment. Step #4 Click on the words in the last frame on the main page that is labeled Southeast Alaska. This will take you to a website about the region that will look like the one below. Step #5 Once you are at the website about SouthEast Alaska you can navigate to the different areas by clicking on the links on the left side of the frame. 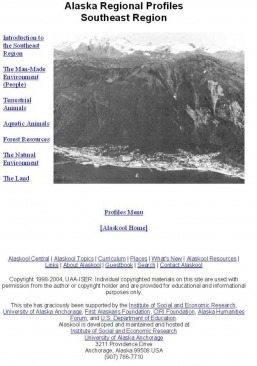 For instance, the link marked Auquatic Animals will take you to a web page full of information about the fish and sea mammals that live in SouthEast Alaska. STEP #6 Fill in the worksheet marked SouthEast Region with as much information that you can find from this area. Step #7 Repeat step #6 with each region listed on the bottom of the main page and hand in your work when you finish. Don't worry this quest is expected to take you more than one day to complete. Now off on your mission to explore Alaska and have fun. Step #8 Go to the Student Explorer Blog page and write 1-2 paragraphs about what you found interesting during your adventure. you can also choose to write 1-2 paragraphs about a personal adventure that you have had in Alaska. Examples might be a family trip, School field trip, and/or you can write about where you live in Alaska.